Keep your kids active and creative during their school breaks! Discover, explore, invent and imagine! Our camps are high-energy, fast-paced and tons of fun for kids. Camp admission costs include: Snacks, all art supplies, and TONS of inflatable play! Please provide socks & bagged lunch for your child. * A minimum enrollment requirement is required to host camp. At least 24 hours notice will be given if camp schedule changes. Reservations Required - Click or Call 919.828.3344 Today! 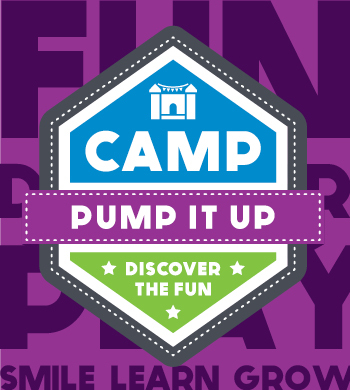 Bring the kids to Pump It Up of Raleigh for your Field Trips. Kids will jump, slide and play in private and secure play areas. We’ll ensure that your Field Trip easy and hassle-free. Call for additional details regarding food/lunch options for your group! 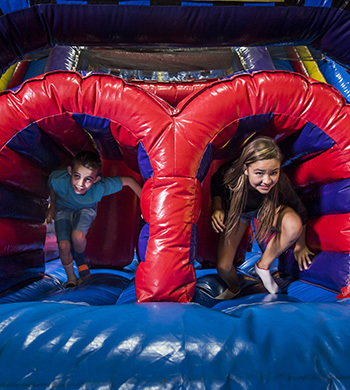 Pump It Up of Raleigh is the perfect place to host your next school or organization fundraiser. We’ll help you select the best date and time for your event, determine the price per person to maximize your potential donations, and help manage the event. 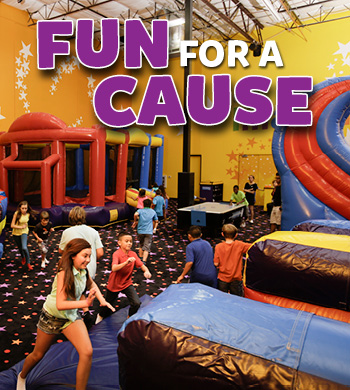 Pump It Up will donate up to 30% of the proceeds back to your organization. Give us a call and let us help you get your event started. Your guests will have a blast!